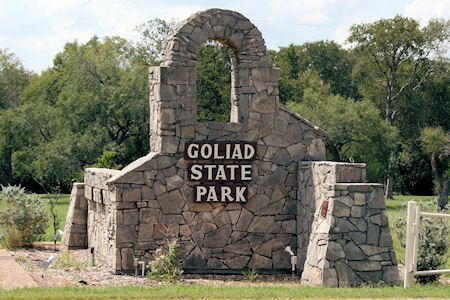 Goliad State Park sits on the San Antonio River just 1 mile south of Goliad, Texas and just north of La Bahia, Texas. The location is right in the middle of historic events that cover over 100 years the early history of Texas. 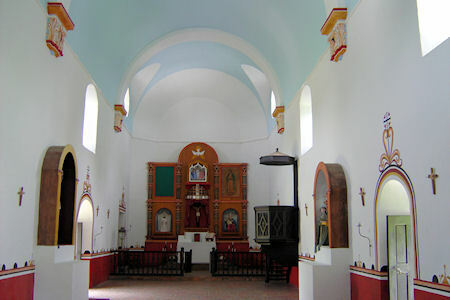 Inside the park grounds is a replica of Mission Espíritu Santo where the early Spanish church came to Christianize the indigenous peoples of the area. Just south of the park is Presidio La Bahia. 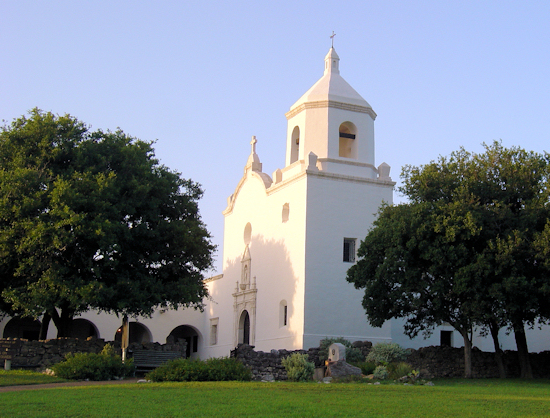 The Presidio originally built to protect Mission Espíritu Santo in 1749 was used by Col. James W. Fannin in the Texas Revolution as Fort Defiance. After the battle of Coleto Creek on March 19 and 20, 1836 Fannin and his men were held at Presidio La Bahia until March 27, 1836. On that day, Palm Sunday, Fannin and his army of 342 men were massacred. Just outside the walls of the Presidio, Ignacio Seguín Zaragoza was born in 1829. Years later he became a military hero in Mexico. He is best known for his defeat of the French army at Puebla, Mexico, May 5, 1862. People of Mexican heritage all over the world still celebrate Cinco de Mayo in honor of Ignacio Seguín Zaragoza victory. 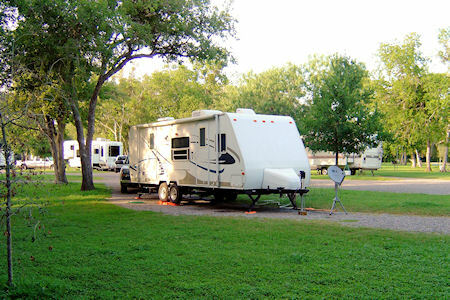 Beyond the historical elements of the area, there are a lot of recreational opportunities. Camping, hiking, and fishing are just a beginning. There is a pool, shared with the City of Goliad. You can also kayak the San Antonio River. There are several put in points upstream of the park and a takeout spots in the park. Check with the park ranger for details.